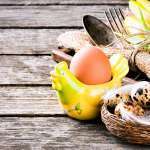 Hard to believe Easter is right around the corner, and if it snuck up on you like it did us, you are likely seeking a few fun, quick and easy ways to entertain family and friends. Setting up for your gathering can be as elaborate as you wish, you may choose to set up a sideboard with crystal and silver, or plan something a little more low-key in the backyard. Our easy Easter brunch recipes will comfortably live up to any type of get-together you desire! These carefree menu ideas are all about fresh seasonal flavor and many have components that can be prepared ahead of time, so there is no last minute scramble. Asparagus Sausage Strata is the perfect make-ahead dish. A strata is simply an Italian-style quiche using bread cubes instead of pastry crust. Assemble the strata the evening before and the next day, simply pop it in the oven and bake before serving, which leaves you plenty of time to visit with your guests. Can’t get easier than that! 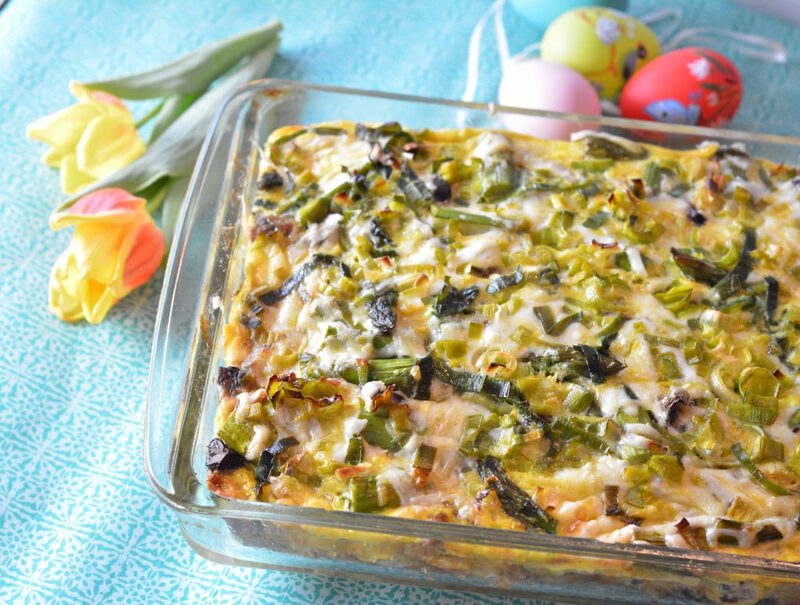 This strata is packed with plenty of Spring vegetables such as asparagus, leeks, and mushrooms, however, feel free to use your favorites. Try using sauteed zucchini with ham and roasted red peppers and onions. Can’t do dairy? Simply swap out the milk for an unsweetened dairy free alternative and the cheese for your favorite dairy free cheese replacement. Have a few guests with a sweet tooth? 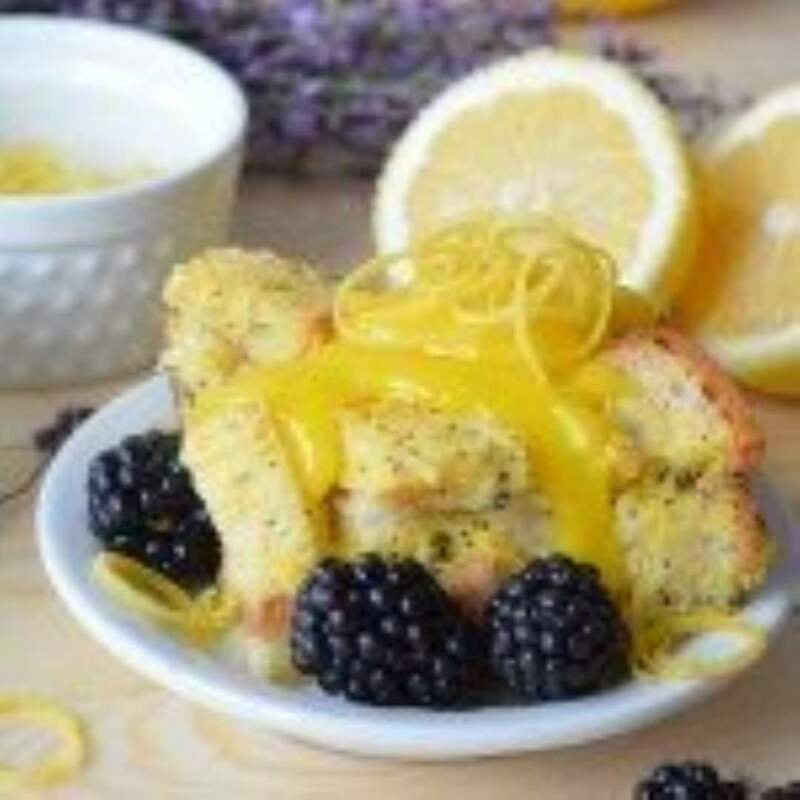 You’ll love this lemony bread pudding studded with poppy seeds. The bread pudding itself tastes lightly sweet and could double as a french toast casserole in a pinch. 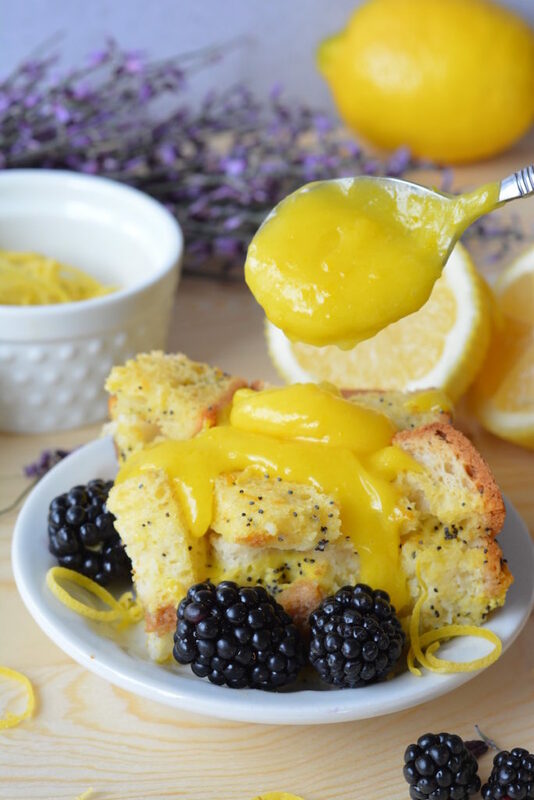 It is the lemon curd sauce that brings this into dessert territory, coating the pudding with sweet yet tangy goodness. 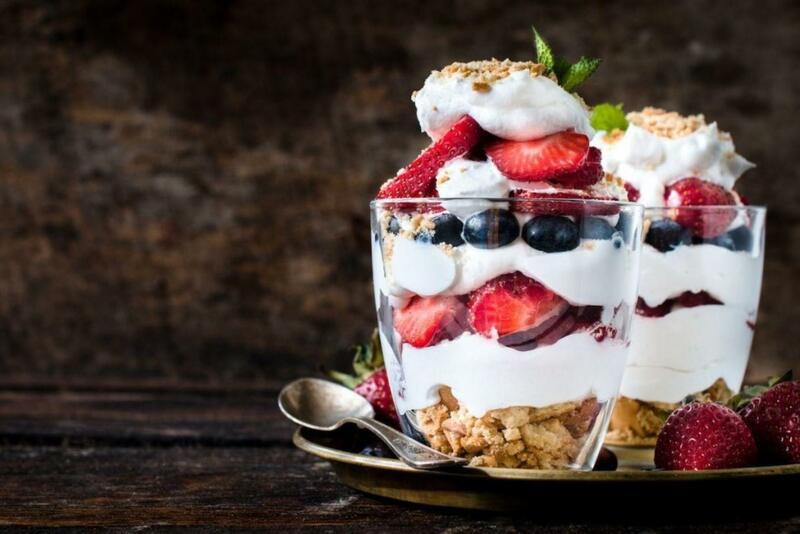 You could also dollop the whole thing with a scoop of whipped cream, whipped coconut topping, or a scoop of your favorite vanilla ice cream to really bring it over the top. Another delicious make-ahead dish! 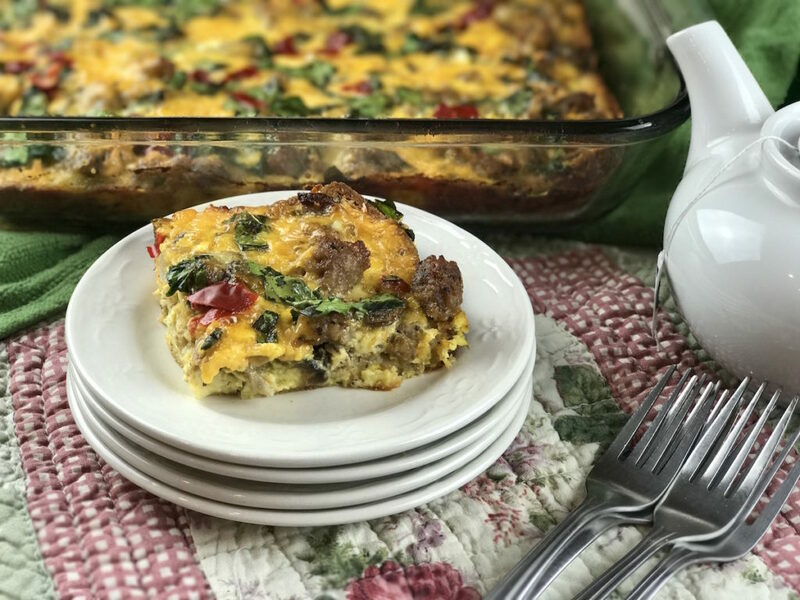 Here is another delicious strata recipe with a slightly different slant. In addition to select spring vegetables, in this case spinach, mushrooms and onions, it also includes a delicious homemade breakfast sausage. 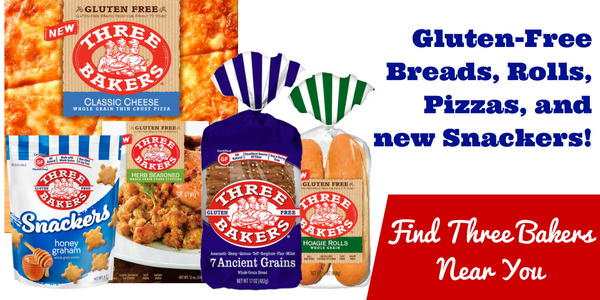 Guaranteed to make your mouth water! 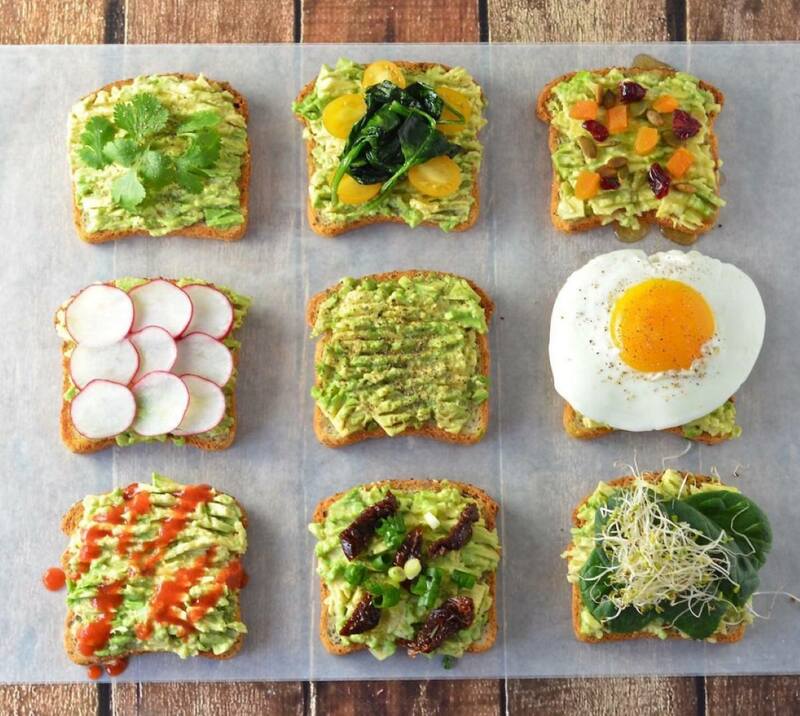 If you really want to impress your guests, set up an avocado toast bar! Avocados are a crowd favorite, and dressing up avo-toast with a few embellishments takes it all to the next level. 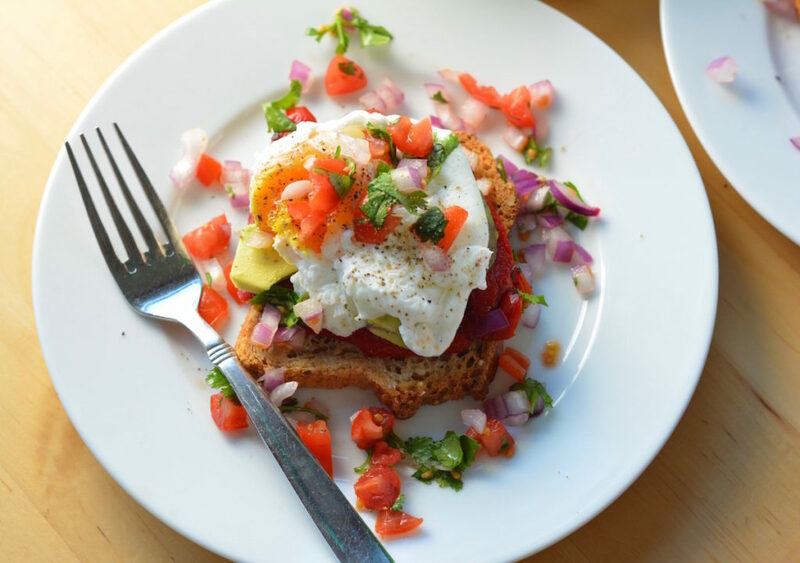 All you need are a few ingredients and your imagination to make a fancied-up avocado toast worthy of the avocado itself. 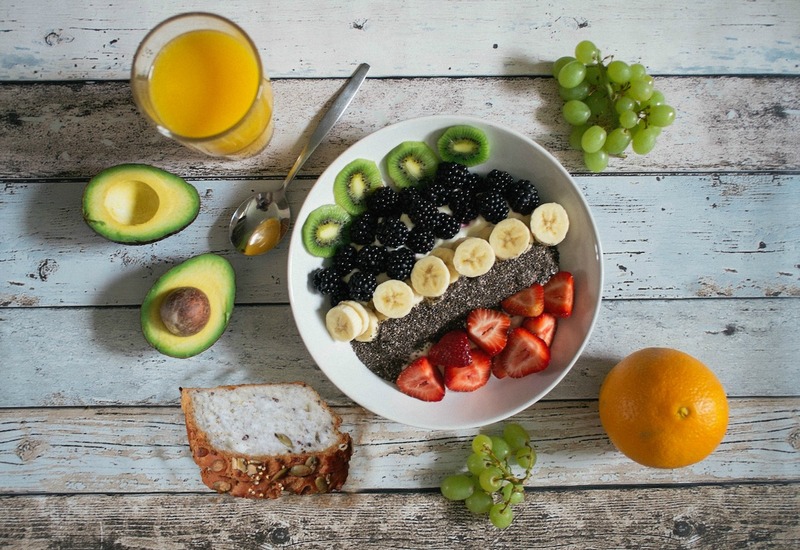 Every family has them – those kids (or let’s face it, some adults too) who may be a little picky when it comes to their brunch food options. Why not prepare ahead by supplementing your main meal options with some light, healthy snackables. Fresh fruit, trail mix, yogurt and other delicious options can really fill out your Easter brunch menu! Planning a delicious Easter brunch doesn’t have to be hard, when you prepare ahead! We can’t wait to see what you come up with. Be sure to tag us in your posts on Instagram.